Guyana, ‘the land of many waters’, is one of the smallest countries in South America, and not a travel destination that one typically hears much about. But mystery is one of the main charms of Guyana, especially since the world has been ‘shrinking’ more and more in the past few years, and there are precious few travel destinations that can still claim to be pretty much unexplored. This is not to say that there is no tourism in Guyana, but simply that tourism in the country is left to the adventurous and the extremely curious. 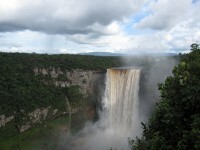 If you’re into eco-tourism, rough travel in the wild, and interesting cultural experiences, then you won’t need more than 5 reasons to travel to Guyana to hop on a place. If you’ve already seen Angel Falls or Niagara, maybe you won’t think that the idea of visiting the hardly known Kaieteur Falls is such a big deal. But you aren’t expecting to see anything but some regular falls, you’ll have the shock of a lifetime, because Kaieteur Falls are simply amazing. Considering height and water volume, Keieteur is among the biggest single-drop waterfalls in the world, and about five times taller than Niagara. Sea turtles are some of the most elusive and endangered animals on the planet, and most people only get to see them in zoos. 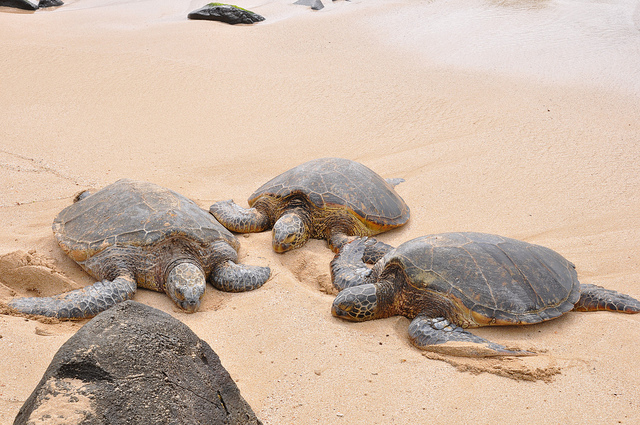 However, on Shell beach in Guyana you can sea four turtle species in their natural environment. 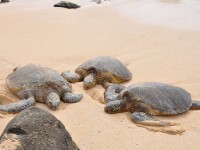 The 140 kilometer beach is a nesting place for the turtles, so you can see them either when they come ashore to lay their eggs, or when the baby turtles hatch. The small town of Bartica is an oasis of quiet, especially if you are coming over from a big city. 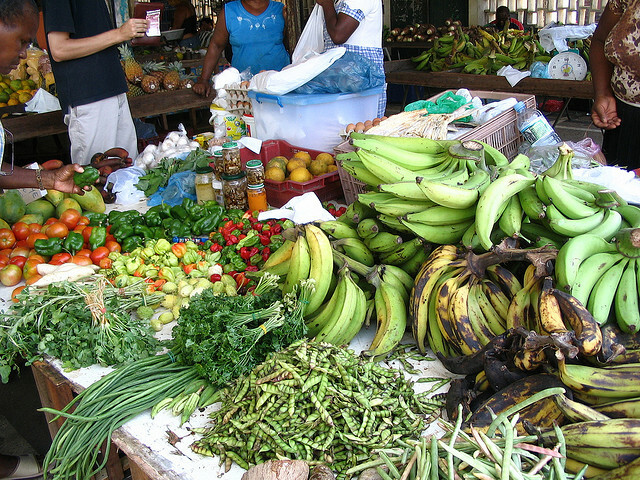 The port town is infused with typical Guyanese charm, and the inhabitants are friendly and interesting. There aren’t many attractions in the town proper, but there are lots of great places to see on day trips from Bartica: the amazing ruins of the 17th century Fort Kyk-Over-Al, and Marshall Falls. The building that houses Starbroek Mountain can best be described as weird – it’s architectural style is very uncommon, but vaguely Victorian. The cast iron market and its distinctive clock tower look stunning, and inside you will find a bazaar-style market, the largest in the country. You can find anything you could think of in Starbroek, from clothes and books to produce or jewelry. Surama is an Amerindian village belonging to the Makushi tribe, who have taken then initiative to make their home as open to tourists as possible. Some traditional huts can be rented, and there are several guides in the village who can take you on a tour of the surrounding woods and savannahs. Sying that the Keiteur is the largest in the world is baloney. Considering its hight and volume it is the 23rd in the world. Thank you for the observation, we have corrected the mistake.